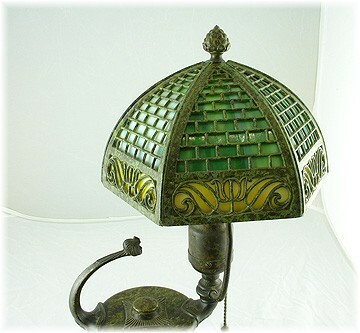 Being offered for auction is a beautiful bronze ART NOUVEAU lamp. 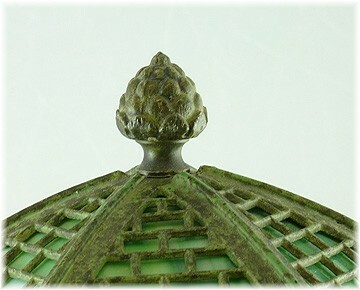 It is approximately 15" tall from the base of the lamp to the pine cone finial. Please note the unique details in the following pictures. 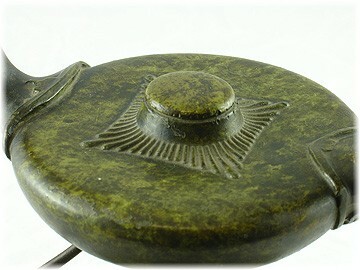 The middle section of the lamp has many ornate features including the patina which almost looks like camouflage. 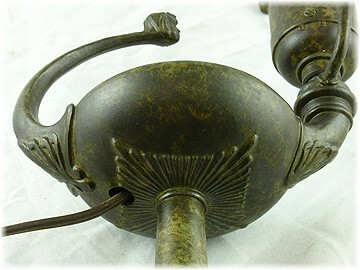 The arched handle has an interesting looking face as well as a decorative base. The glass shade is an intricate honey comb of rectangles and harp-like patterns. There is a 1" pine cone finial. The Murano glass features five panels of green, yellow and white glass. Four of the panels are primarily various shades of green; one panel is more white and green. 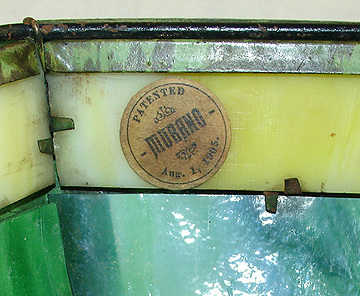 The interior of the shade offers a wonderful paper label which states "Patented -MURANO- Aug. 1, 1905" which is an absolutely FABULOUS certification for the lamp and its age. 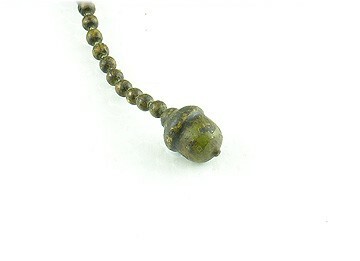 The pull chain tip is accented with a CHARMING acorn. Just above the pull chain, stamped in raised letters, is the word 'HUBBELL'. 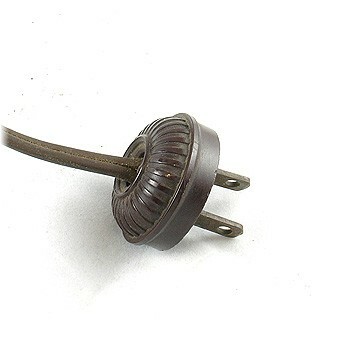 The plug is bakelite and in very nice condition. 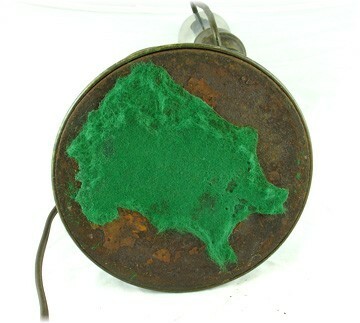 The base is partially covered with a piece of tattered felt. The base is rough with some rust. 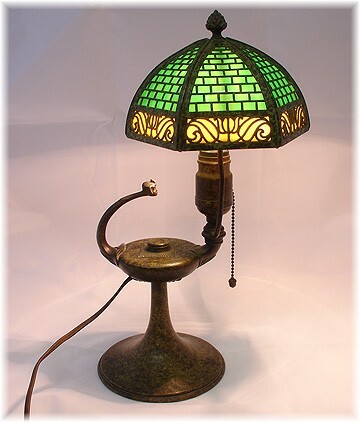 This is an EXCEPTIONALLY beautiful and RARE lamp. The finish is in fantastic condition. The lamp is very heavy and weighs almost 7 pounds. It works beautifully and would be a wonderful addition to any ART NOUVEAU collection. Thank you for viewing this auction.